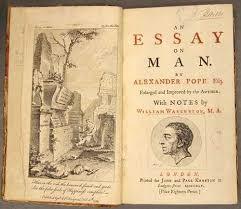 An essay on Man is one of the most popular poems penned by Alexander Pope. 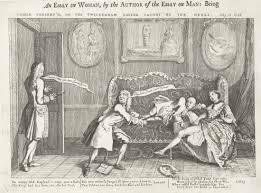 The poem contains four epistles which were published between 1733 and 1734 and discusses the various aspects of the existence of human beings on earth. In the poem, a number of theological and philosophical issues have been discussed, which Pope wrote after being inspired by the philosophical writings of Lord Bolingbroke. An Essay on Man is a very long composition that discusses a number of aspects of human life in relation to the various other parts that the universe is composed of. Through the poem, Pope has established a number of ideas about the role of human beings and their position in the entire spectrum of life and existence in the world. In the first epistle of the poem, Pope explores the position of the human with respect to that of the cosmos. He philosophizes that the cosmos is a huge creation of God and all the things are in place according to His plan. Human beings are a mere part of this construction and are as important as any other aspect of it. Pope discusses that man is placed at a place above animals and below angels in the entire hierarchy of the world and the efforts to gain more knowledge are the source of misery of people. Pope says that what humans call chance is a part of a big system and plan and nothing can happen without any significance in the system. In the next epistle, he reflects on the place of man in the cosmos with respect to the man himself. He states that it is not ideal for man to be interested in the affairs of God but he should indulge in reason and self-love for the sake of having a direction in life. He discusses the roles of virtues and vice in driving the actions of humans and claims that both of these are a part of each human being. Man is easily drawn to vice and this is because it suits the purpose of God. 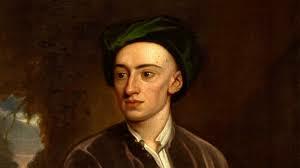 The third epistle of the poem talks about the place of an individual in relation to society. Pope claims that family, government and religion are the parts that comprise of society. He says that self-love connects people with each other on a level of physical needs and reason helps humans to develop emotional bonds. As a result, the human has evolved from individual to social entity and has developed the various systems like religion and government, which work because of the existence of faith and beliefs. Pope focuses on the individual man in the fourth epistle and claims that the ultimate goal of all humans is to attain happiness. This happiness is a general concept in all societies and is highly important to ensure peace and order. He also states that like all societies, God also governs man with the help of rules and these rules are not twisted in order to favor one person or persons over another. For humans, virtue is the only means to attain happiness and internal happiness should be the ultimate goal of all individuals in the order of the world. Pope wrote the poem at a time when philosophical questions about the nature of humans and the importance of human life were perplexing society. All major thinkers were trying to look for answers to these questions and Pope has used the poem as a medium of explaining his own version of these existential questions. The poem has been composed in four epistles and consists of iambic pentameters in each line. This provides the poem with a very solid structure and eliminates any type of chaos or imperfections. This is worth noticing because it provides stability to the poem and aligns its structure to the basic theme of its idea. Pope, through this poem, tries to offer an explanation to all the things that take place in the world around us. He puts the idea of God forward and puts emphasis on the fact that for God, all people are equal. God controls the world on the basis of certain laws and regulations. As far as man is considered, he is a tiny part of this great setup and tries to spend his life in a social construct seeking happiness. Because man is comparatively inferior, he can alter these laws, unlike God. Due to that, there is complete order in the world and everything that happens should be seen as a part of a bigger whole, rather than a matter of chance.